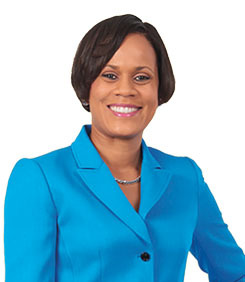 In 2015, Mrs Gillian Hyde was appointed General Manager of JN Small Business Loans Ltd., Jamaica’s premier microfinance institution, a company which prides itself in providing access to credit for the MSME sector, thereby enhancing the sector’s growth and development. Mrs Hyde joined the Jamaica National family in 2003 and has served at the building society in several areas: Finance & Accounting, as well as Corporate and Strategic Planning, where she spent a number of years and was integral in charting the path for the achievement of significant milestones throughout the Society. She later assumed the role as Member Ombudsman and Executive in charge of Customer Service with responsibility for delivering a great customer experience through all channels. Mrs. Hyde holds a Master of Science in Management Information Systems and Bachelor of Science in Management Studies & Psychology from The University of the West Indies. She has also participated in key development programmes, including a certificate course in Strategic Leadership in Inclusive Finance from the Harvard Business School. She is an active member of the school community and has served as President of the Parent Teacher Association at Mona Preparatory School and currently serves as Team Manager of the St. Andrew High School for girls.